Global technology giant HP has poured a dash of cold water on the hopes of Australians keen to get their hands on its flagship tablet device launched overnight, noting this afternoon that the tablet wouldn’t be coming Down Under until a range of other countries such as the US, Canada, Spain and even Mexico had it first. 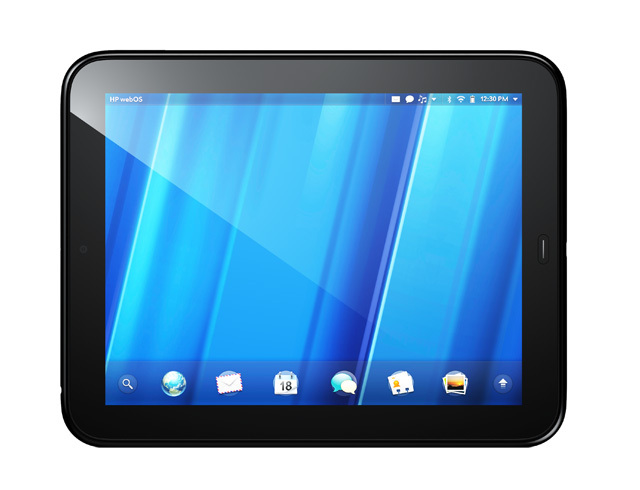 The TouchPad tablet unveiled by HP overnight in the US is based on technology acquired with its buyout of handset specialist Palm last year, and represents HP’s attempt to take on Apple’s iPad, utilising Palm’s rival webOS operating system. HP also launched several new phones in the Pre range — the Pre 3 and the Veer. However, in a statement this afternoon, HP Australia’s public relations manager for its Personal Systems Group Brad Swiney made it clear Australia was not on the early deployment list for the devices, which are slated to hit the US in mid-2011. “HP will not be launching these webOS devices in Australia at the same time as the US and at this early stage cannot speculate on local pricing,” Swiney said. Palm never launched the Pre in Australia, preferring instead to focus throughout 2009 on countries in the Americas and Europe, such as the US, Spain, Ireland, Germany, Canada and Mexico. Despite this, some users in Australia had imported the handset due to what was seen as its innovative and open operating system. “Specific region and country availability details have not yet been announced, however HP will first be targeting markets where webOS is currently available,” said Swiney this afternoon. The news has the potential to severely limit HP’s share of the mobile operating system market in Australia, as a number of other smartphone and tablet manufacturers are planning major launches in Australia over the next few months — not just Apple, which is expected to launch new versions of the iPhone and iPad this year, but also a raft of Asian manufacturers such as HTC, Samsung and LG, which all have next-generation devices in the works. BlackBerry Research in Motion is also planning to launch its PlayBook tablet this year, although the company has not yet confirmed Australian launch plans. The news comes as Telstra this morning revealed just how popular Apple and Android smartphones and tablets had proven amongst its customer base. Responding to a question from a journalist, Telstra chief executive David Thodey said Telstra had sold some 400,000 Apple iPhones in the second half of 2010 — and registered some 70,000 iPads. “New iPhones was 400,000,” the CEO said. “And if you want to keep going, 290,000-something Android smartphones in the first half as well,” he said. “HP will not be launching these webOS devices in Australia at the same time as the US” sure ain’t “no soup for you”. There are many different corporate ways of saying “no”, and I’ve heard them all as a journalist over the past decade. When I get this sort of statement, 99 percent of the time it’s a definite “no”. Guess we’ll have to import it then. Like we do with with every other device that for some reason or another isn’t brought to Australia. Meh. This is nothing new. Australia just isn’t a big market so it’s not surprising that we get passed over when it comes to launching products. Not to mention that, in spite of the weak US dollar, we’re probably going to be raped on pricing. I, for one, aren’t happy that they’re passing us over initially – we need a bit of competition in this space. But, those that really want it will get it. The rest of the country will just look at what is available in stores here. Still, it says a LOT about the difference between HP’s and Apple’s manufacturing capability right now … Or even the difference between HP and HTC, Samsung and LG. I wouldn’t say capability – but certainly effort. Remember, none of these are going to sell as well as the iPad. We know it and I’m certain they do as well. I guarantee they’re not producing anywhere near the number of units for launch that Apple do. It makes perfect business sense to try and get their product into the market in a few key areas first, work on building a brand and a user base there then expand later. Trying to spread themselves thin early on would struggle to pay dividends. Why are you acting like an apologist for HP in this area? Why should Spain, for example, get the TouchPad first? With a population twice the size of Australia, yet not as much of an early adopter nation, and requiring translation to make sure webOS can handle the market? Sounds like Australia would have always been an easier and better option. it says nothing about their manufacturing capability at all. they’re just not releasing it here yet, that’s all the statement says. Yet … if they had the capability — why wouldn’t they release it in as many markets as possible? i’m pissed off that they are not releasing it here, but i think it is a product of the market share. as others have pointed out, australia just isn’t that big of a market. don’t get me wrong, i think it is crap, but i doubt it is a manufacturing limitation. I can’t say I’m particularly phased after looking at the specs and watching some early performance videos. Don’t get me wrong, WebOS itself is great, and still leads the way with it’s cool card based multi-tasking. I also really like the notification system on the Pre. However by the time Palm’s hardware actually gets to market, it always looked decidedly last generation. I would have thought that with HP’s financial backing and management they could have cranked out some hardware with more impressive capabilities. Yeah I’ve wondered the same thing. Dell even struggle to get handsets out in a timely way in The States (look at the massive hold up on the hotly anticipated Dell Venue Pro for example). They seem way too disorganised with mobile products, yet they manage to sell all sorts of other complex configurable computers to millions of people globally every day. Weird isn’t it?